Reliable service is crucial to our communities, our economy and our quality of life. It is becoming even more important in our increasingly digital world. That’s why we’ve been making substantial investments to improve the reliability of our electric service by strengthening our infrastructure and incorporating the latest smart grid technology. Our record-setting results over the past six years are keeping the lights on for customers and helping to power California’s economy. Our work is driven by a multiyear strategic plan that builds on lessons learned and progress made, so we can continue to improve across public safety, workforce safety, compliance, emergency preparedness, reliability, customer satisfaction and efficiency. Fundamental to our approach is a sharp focus on continuous improvement, benchmarking our performance with other electric utility companies and identifying and adopting best practices. To improve reliability, we are focused on maintaining and replacing aging equipment, making targeted asset upgrades and using new technology to monitor and restore power. With the state’s continued drought, we also continue to work with state and local agencies to help reduce the risk of wildfires through enhanced inspection of vegetation along power lines and improving access for firefighters. Another continued focus of our operations is preventing downed electric wires. We are approaching this work in several ways: conducting infrared inspections of distribution lines, replacing splices and conductors, and dispatching engineers to inspect downed wires to identify the cause and actions to prevent a recurrence. Because vegetation can account for wires down, we are also working to identify, prune or remove trees that are most likely to fall during a storm. 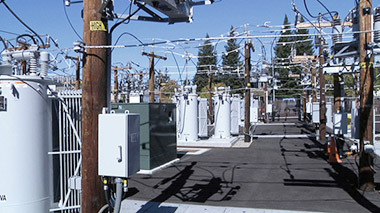 PG&E’s San Ramon Technology Center houses a variety of technical labs and specialized equipment, much of it dedicated to testing smart grid technologies. This includes a distribution test yard that can be configured to accept a wide variety of equipment to test before field deployment. Work to construct a new 230-kilovolt power line and expand two substations in San Francisco is an example of the type of investments PG&E is making to provide safe and reliable service while also strengthening the resiliency of our system for natural disasters. 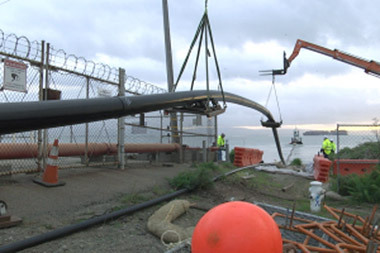 The project is part of PG&E’s five-year plan to invest $1.2 billion in San Francisco’s electric and gas infrastructure to provide safe and reliable service for customers. PG&E continues to integrate a wide range of advanced communications and control technologies throughout our electric grid to help enhance the resiliency of the system and restore power outages more quickly. Invested in our system. Throughout the year, PG&E upgraded our electric system with a multitude of local reliability projects. These ranged from a transmission project in Bakersfield to upgrading power lines in Paradise in Butte County and substantial work on a substation in King City to improve system reliability and capacity. Installed advanced automation technology on power lines throughout our service area. This technology, now installed on nearly 600 electric distribution circuits, can automatically “self-heal” the grid by rerouting the flow of electricity around a damaged power line, often restoring power to the majority of impacted customers within minutes. These systems have been installed on nearly 20 percent of PG&E’s electrical distribution circuits and have helped the company avoid more than 60 million customer outage minutes since the program began in 2012. Leveraged SmartMeter™ technology. SmartMeters play an important role in PG&E’s response to power outages. We receive SmartMeter data within seconds of an outage to help employees quickly determine the scope and level of response needed. They also help identify the location of an outage to reduce the amount of time it takes for restoration crews to arrive on scene. Building new distribution control centers. PG&E is constructing state-of-the-art electric distribution control centers that will manage our more than 140,000 miles of electric distribution lines. These facilities will be the nerve centers of the grid that deliver energy to individual homes and businesses. The first control center opened in Fresno in late 2014 and is equipped with systems that support today’s current smart grid technology, with the capability to support future upgrades as well. We recently opened a second facility in Concord and plan to open a third facility in 2016. T&D World Magazine, a utility industry trade publication, featured PG&E’s Smart Grid Lab and the cutting-edge research our employees perform on behalf of customers. The work being done at the lab, combined with our experience as an early adopter of the smart grid, provides PG&E customers with enhanced safety and reliability, more insight into energy use and improved customer service. 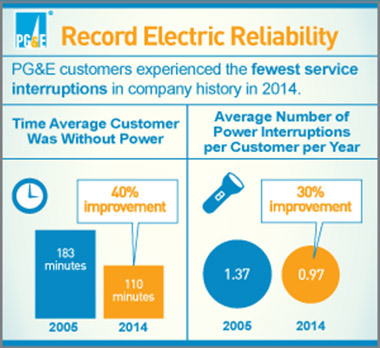 In 2014, our customers experienced the fewest service interruptions in PG&E’s history as we delivered record electric reliability to customers for the sixth straight year. The average time a PG&E customer was without power (SAIDI) was 110.2 minutes, a 5.6 percent improvement over the prior year. 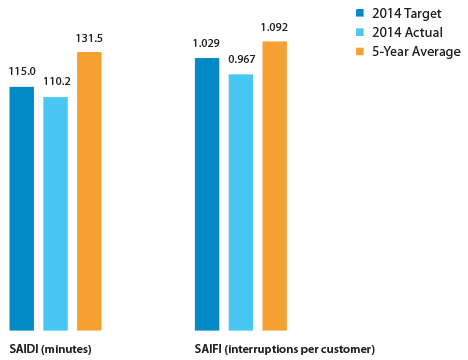 The average number of power interruptions per customer (SAIFI) dropped to 0.967, 9.4 percent less than 2013. 1Beginning in 2012, in an effort to help ensure consistency with industry standards, PG&E included both planned and unplanned outages in setting targets and measuring performance for reliability; previously, planned outages were not included. System Average Interruption Duration Index (SAIDI) measures the number of minutes over the year that the average customer is without power. System Average Interruption Frequency Index (SAIFI) measures the system-wide frequency of power interruptions per customer. Customers expect us to develop, build and maintain a grid that allows them to take full advantage of the many new energy technologies that we are seeing today—and in a way that gives them maximum flexibility, maximum choice in how they use energy and, ultimately, maximum value. In 2014, PG&E launched 17 pilots as part of the Electric Program Investment Charge (EPIC) program, which enables PG&E to work with the other California investor-owned utilities and the California Energy Commission to develop smart grid technology demonstration and deployment programs. Through the program, PG&E is demonstrating technology across three areas: renewables and distributed energy resource integration; grid modernization and optimization; and customer service and enablement. Our vision for this type of grid is the Grid of Things™—in other words, a “plug-and-play” platform that allows energy technologies to be interconnected with each other and integrated into the larger grid. Just like the internet maximizes the benefits of the billions of things connected to it, the grid will do the same for customers’ energy technologies. Among other elements, the grid will interact with rooftop solar, battery storage and consumer mobile applications. It will be increasingly efficient and automated with the addition of new technology. It will also give utilities greater visibility into operations to improve reliability, and will balance renewable energy sources with conventional sources such as natural gas and nuclear energy. PG&E already has a number of projects and investments underway, including smart grid infrastructure modernization. A foundational component is the network of nearly 10 million electric and gas SmartMeter™ devices installed across our service area. 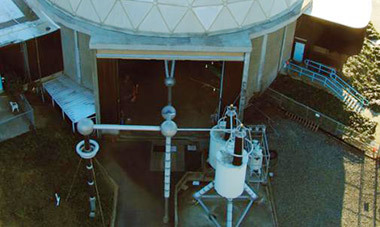 The electric meters provide near real-time energy usage data to utilities and customers through digital communications. They also enable PG&E to better detect areas affected by outages and to determine whether service has been restored, resulting in faster and more accurate service restoration. Building this future requires that utilities are ever mindful of threats to cybersecurity as more operational and customer data becomes digital. Another key is to diligently test and pilot new technologies on a small scale before deploying them more broadly. Doing so will help ensure that investments are beneficial for our customers and also advance California's energy policy goals. To that end, PG&E’s San Ramon Technology Center houses a variety of technical labs and a wide array of specialized equipment, much of it dedicated to testing smart grid technologies. At the site, employees have researched and tested electric vehicle chargers, various battery storage technologies, wireless Home Area Networks (which link to SmartMeter™ devices), home energy displays and smart thermostats. PG&E also continues to work on a series of pilot projects to demonstrate technologies that could be used to increase reliability, reduce costs and the environmental impacts of electric system operation, and more effectively integrate distributed renewable generation on PG&E’s distribution system. Together, these and other steps will help PG&E prepare for the future by making the grid smarter, more flexible and more resilient—while continuing to ensure the safety, reliability and affordability that our customers count on. PG&E is leading work on a multiyear smart grid pilot project around voltage optimization. The project incorporates sensing, communications and computing to more tightly control the voltage delivered to customers, which has the potential to further enable the growth of distributed energy resources. 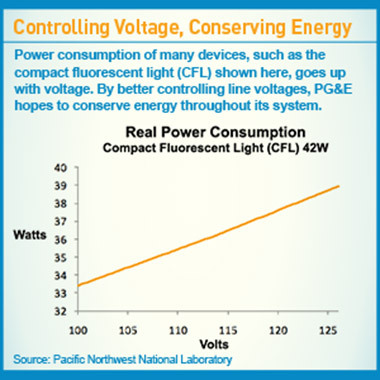 Reducing the delivered voltage also lowers the amount of energy that customers use without sacrificing the performance of their devices or appliances. In fact, it has the potential to reduce energy usage by 1 to 2 percent.